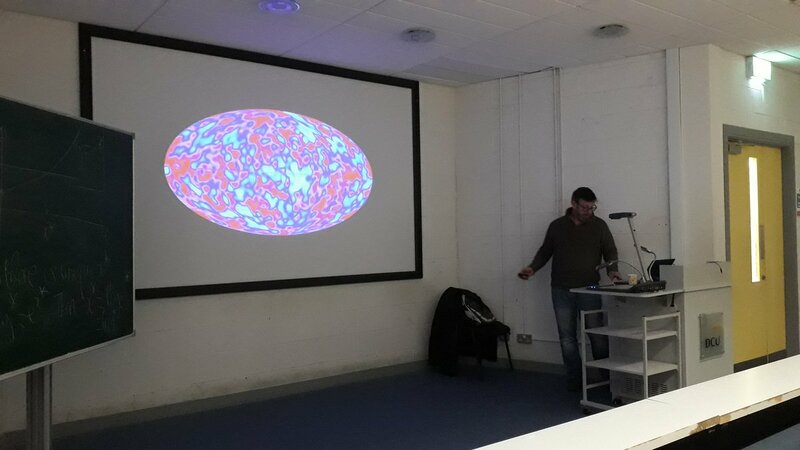 This entry was posted on November 2, 2018 at 11:06 am and is filed under Cosmic Anomalies, Maynooth, Talks and Reviews, The Universe and Stuff with tags Cosmology, Dublin City University, George Stokes, Kathleen Lonsdale. You can follow any responses to this entry through the RSS 2.0 feed. You can leave a response, or trackback from your own site. Is the mention of quark combinations also in honour of another Dublin-born person, James Joyce?